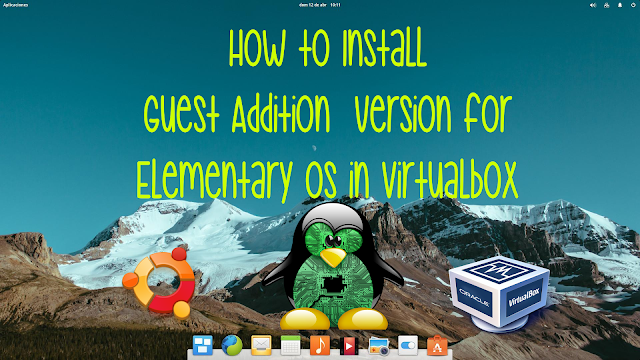 In this tutorial, I'm going to share on How to run Elementary OS guest addition version in Ubuntu Virtualbox. If you are looking for tutorial of installing Elementary OS in Virtualbox for free, please check it out here. 1) Make sure you the CD is mounted in your Elementary OS .Open the folder and check under "Devices" for VBOXADDITION CD .You should be able to find "VBoxLinuxAdditions.run" file in that folder . Run this file on your system. 2) Open the terminal and go to VBOXADDITION folder under media . 4) Reboot the system for it to take effect . Read Previous : How to install Elementary OS in Ubuntu Virtualbox for free.